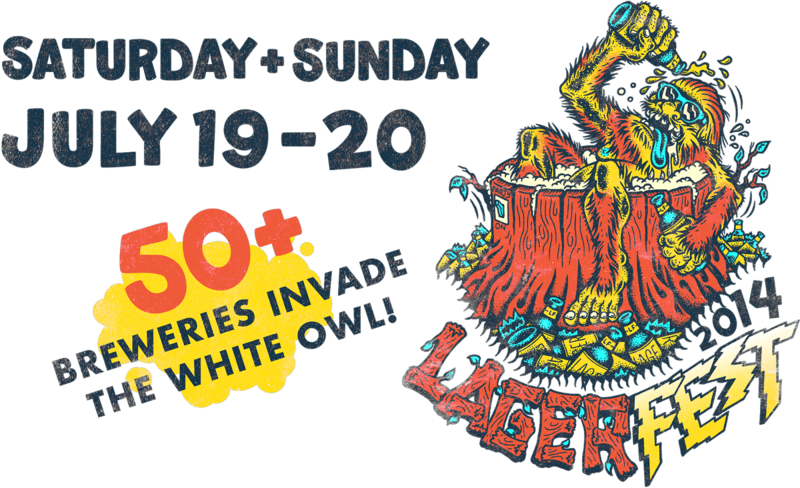 The second annual Lagerfest is going to be held this Saturday and Sunday from 2:00 to 10:00 PM at the White Owl Social Club. Entry to the White Owl will be FREE; prices for tastings will be announced soon and will benefit XRAY.FM and The Pixie Project! 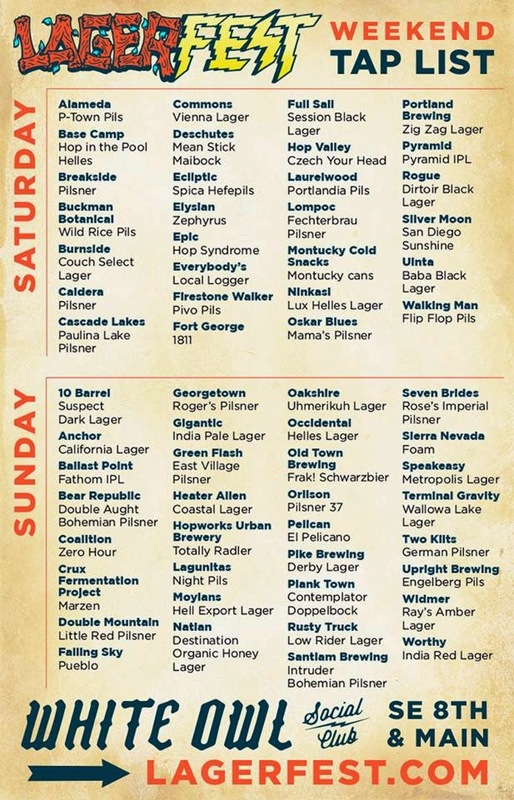 Below is the Schedule of beers that will be pouring each day as well as Maui Brewing - Pau Hana Pilsner has just been added to Sunday. You can also get more information on their website or facebook page.